Strong incoming tides move clean water and speckled trout back to the coast. 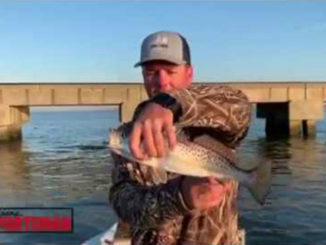 After a 3-day absence, Sportsman field reporter Tommy Vidrine finds speckled trout have moved back to the Fourchon Barges in large numbers. 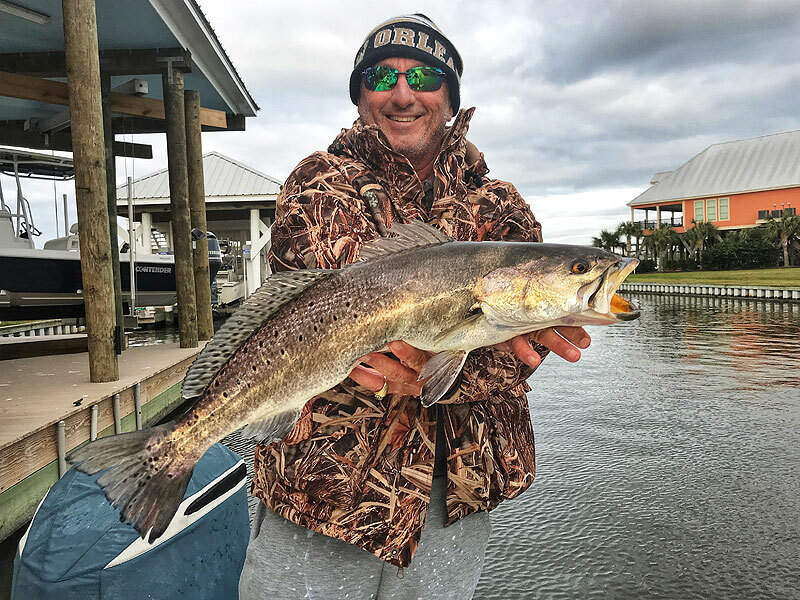 Dense sea fog on Superbowl Sunday couldn’t keep Vidrine away from taking the 30-minute boat ride from his second home in Grand Isle and his decision paid off with non-stop action. Having spent most of the winter on Louisiana’s only inhabited island, the avid angler says he is beginning to pattern his favorite fish. 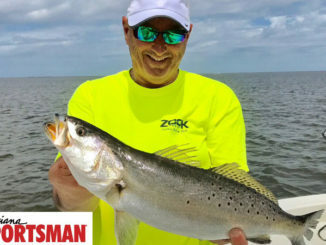 He believes coastal specks move in and offshore all winter long — following their comfort zone and the bait. At least this winter, that has been the case with coastal waters holding an all-you-can-eat buffet of bait fish and shrimp. Schools of big specks are feeding in Fourchon/Grand Isle coastal waters. Is this something new? Sportsman Field Reporter Tommy Vidrine has caught many 4 and 5 pound fish. “They are pushed out to the rigs by cold, muddy water. 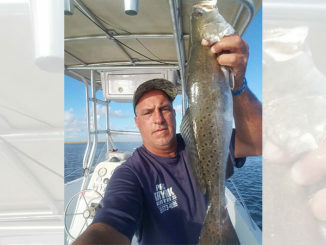 The Gulf waters are about 10 degrees warmer than in the bays right now.” After a cold front with strong northerly winds, it takes about 30 hours for the water to start clearing up, he observed. On this warm, foggy day, he stopped first at his favored Caminada Pass rock jetty which yielded only a few sheepshead and red fish.